Imagine… Imagine a diverse group of adults, all working toward the same goal of helping kids — entirely without pay of any kind. Imagine that these folks actually all get along, genuinely enjoy each other’s company, consider themselves an extended family. And imagine that they really do make a demonstrable difference in the life of thousands of children (and parents too) each year. Welcome to the Humanity Project! Bullying is worse, not better. But there is hope. UNICEF, the United Nations Children's Fund, just released a major report on childhood bullying worldwide. It found that about half of children ages 13 to 15 throughout the globe say they have experienced peer-to-peer violence in and around school. That's 150 million kids. As one UNICEF official who contributed to the report said, "Schools are not as safe as they should be because of bullying, because of corporal punishment by teachers, because of attacks on schools." The report adds that the estimated monetary cost of violence against children in all countries is $7 trillion. However, the same UNICEF official noted that more children are speaking out against bullying and more teachers are being trained to deal with it. "We have reasons to be optimistic that violence will be recognized as a problem in schools and addressed soon," she said. Self-reported peer violence stands at around 50% in most of the nations studied -- with the U.S. rate slightly lower at 48%. The report is based on data from 122 countries, which are home to 51% of the world's population of children ages 13 to 15. The Humanity Project's acclaimed Antibullying Through The Arts and Humanity Club programs have been shown to be effective in helping to curb school bullying -- but in the past several months, we have received somewhat less funding than in 2017 to deliver these free programs to schools and organizations that need them. In light of the new UNICEF report, we are hopeful these funds will be restored soon as more people recognize that bullying hasn't ended in the schools. And that our work as a society to stop school bullying is far, far from over. They are one of the Humanity Project's oldest and most loyal partners. Children's Services Council of Broward County. Just as their logo says, their focus is children. And their work helps thousands of kids all over this part of Florida. 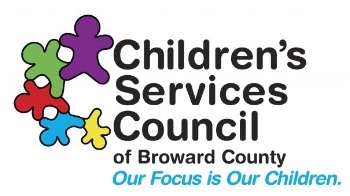 Children's Services Council of Broward County assists a wide variety of South Florida agencies, large and small, established and new. 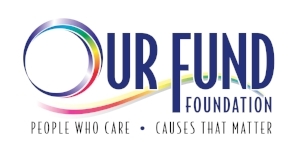 With their funding and other assistance, we all work as a team to improve life for the kids of Broward County, Florida. For that we can only again offer a sincere thank you to everyone at CSC Broward. 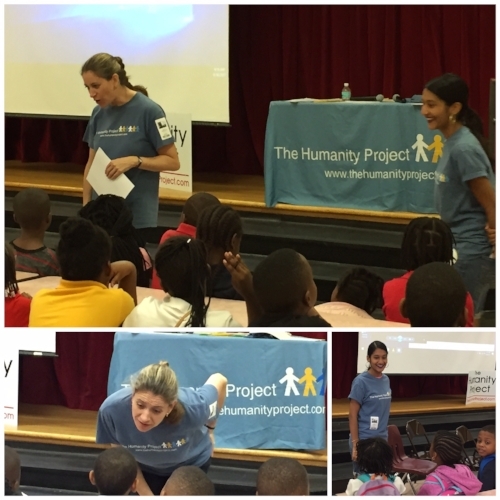 You are good friends indeed -- to the Humanity Project and, more importantly, to the children of Broward County. The Humanity Project is tackling the largest, most ambitious campaign in our 12-year history. And we've already begun ... Through at least the full 2017-18 school year, and perhaps longer, our nonprofit will work intensively at Westwood Heights Elementary School in Fort Lauderdale, Florida. In the very recent past, Westwood Heights was an F-grade school, rising now to a C-grade school through the efforts of their amazing principal, Jodi Washington, and her fine staff. But Mrs. Washington tells us much remains to be done in the school and in the neighborhood. Bullying is a major problem, affecting many students including LGBTQ children and others who may stand out as potential targets of hostility. Most of the school's kids struggle with inadequate food when not in school for free meals. Even school supplies such as backpacks are scarce. And the surrounding neighborhood is impoverished, rundown and struggling with crime and other problems. The school itself is sometimes a victim of these crimes. The Humanity Project hopes to change things. We began by arranging a major donation of nearly 400 backpacks. More than 300 of these came from a generous contribution by our friends at Costco, others came through Trinity Lutheran Church, the New River Orchestra and members of the Humanity Project Board of Directors and Leadership Council. So far this year, every child who's needed a backpack has received one. Then we presented our acclaimed Anti-bullying Through The Arts program to the entire student population, grades K - 5. It went well. Next week, we begin our Humanity Club at Westwood Heights, teaching several handpicked all-girl student leaders about our Humanity Project core values of respect, diversity and self-worth ... then helping them create and present their own program about these values to the entire school. Every student will be asked to sign a pledge to treat all other students with respect for the full academic year, in and out of school. We'll follow up with contests, games, art projects, a planned Garden of Respect and much more. This is where our campaign will far exceed any previous work by the Humanity Project: We plan to hold parent workshops to teach good parenting skills and involve parents in their child's education. We will also approach local community leaders, including gang members, to bring them into our efforts with the goal of making Westwood Heights a focal point of neighborhood pride. We'll need lots of help from everyone at Westwood Heights and our South Florida friends, including additional funding from sponsors. As always, our programs are free to the schools. But we're already fortunate to have partners such as Our Fund, Lucky's Market, New River Orchestra, Children's Services Council of Broward County and others helping us in this sweeping project. As the year goes along, we'll keep you updated on our progress. And of course, we'll continue providing our anti-bullying, Humanity Club and unique I Care teen driver safety programs to the community at the same time. All for free. As we said, it's an ambitious campaign. But we are confident that with lots of committed assistance by our friends and colleagues, we can make a significant difference in both this school and in this community. We have something very special to announce, a first-ever event of this type by the Humanity Project. 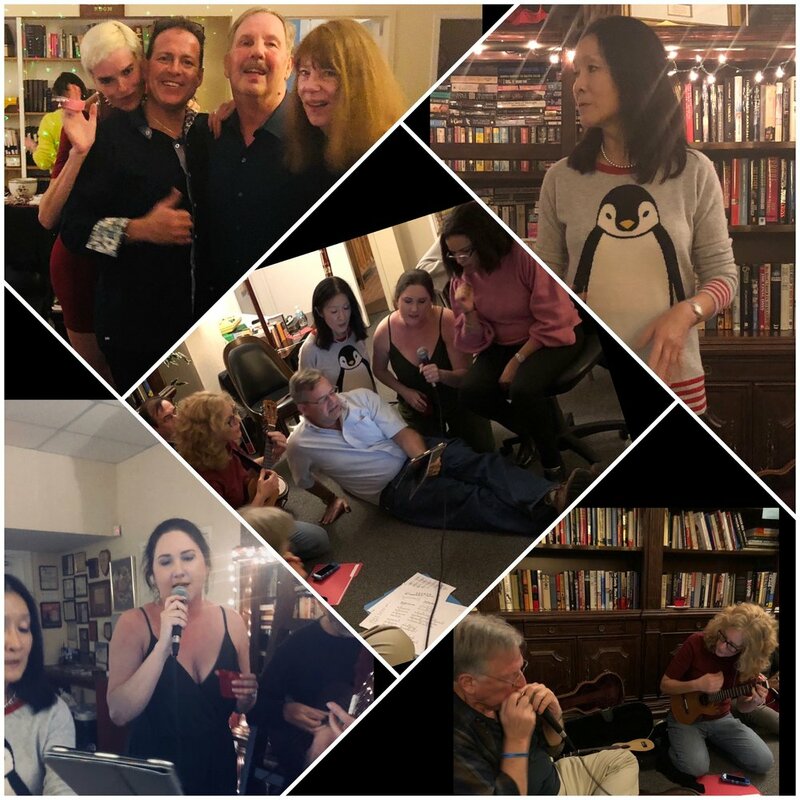 And we're calling it, "Classics & Kids: A Musical Performance for the Humanity Project." If you're in South Florida during late July this year, you won't want to miss it. Classics & Kids will feature a Haitian children's choir and a full symphony orchestra in a delightful summery pops concert to benefit the Humanity Project. Proceeds will go to our programs for kids including our Anti-bullying Through The Arts, Humanity Club and I Care teen driver safety programs. The New River Orchestra will be joined by the St. Clements Children's Choir for works by Holst, Moussorgsky, Strauss, Rossini and others as well as pieces by Henry Mancini and selections from Pirates of the Caribbean. What fun on a warm afternoon. Tickets are only $20 in advance, $25 at the door. Mark your calendar for July 29 from 4-6 p.m. at the United Church of Christ Fort Lauderdale, our friends who are hosting the event for us. You can buy tickets safely online through Eventbrite, the respected Internet ticket agency. Here's the link to find out more about our concert: Visit the Humanity Project ticket site for more info and to buy tickets! We're very excited by this fundraiser ... and we hope that many of you will want to join us. Classics & Kids on a languid South Florida weekend afternoon -- who could ask for anything more? The Humanity Project is one of the many fine organizations worldwide that work to answer this important question. The Humanity Project is one of the many fine organizations worldwide that work to answer this important question. Our Anti-bullying Through The Arts program and our website for socially isolated teens at www.thp4kids.com, our Humanity Club program for middle school children … these are among the key ways our Florida-based nonprofit helps kids to teach respect among their peers. The Humanity Project builds an environment in and out of school that offers more kindness, less abuse. We help kids to help other kids stop bullying. We offer special peer-created guidance for LGBT teens at that thp4kids website. We work with middle school student leaders in our Humanity Club to help fellow students understand the importance of diversity, self-value and respect among everyone in the school. And of course, this translates to an atmosphere of greater understanding … and kindness. We applaud President Obama’s interest in the future of our children. He has many times shown during his tenure that he cares about creating a nation and a world of healthier kids – young people who are healthier psychologically as well as physically. At the Humanity Project, we will continue to do all we can month in and month out to assist in this profound effort.